Congratulations Rebecca Gomez Farrell, author of ‘Thlush-a-lum’ in Pulp Literature Issue 5, on her new book out with Meerkat Press. 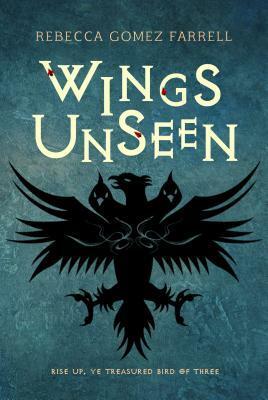 Her fantasy novel Wings Unseen is available for preorder. Here’s a taste of what lies in store for her readers. To end a civil war, Lansera’s King Turyn relinquished a quarter of his kingdom to create Medua, exiling all who would honor greed over valor to this new realm on the other side of the mountains. The Meduans and Lanserim have maintained an uneasy truce for two generations, but their ways of life are as compatible as oil and water. … more here. Rebecca Gomez Farrell writes all the speculative fiction genres she can conjure up. 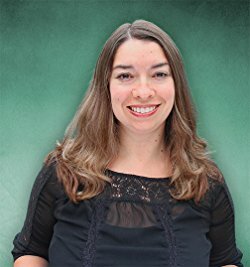 An associate member of the Science Fiction and Fantasy Writers of America, Becca’s shorter works have been published by the Future Fire, Beneath Ceaseless Skies, Typehouse Literary Magazine, and Pulp Literature, among other outlets. She is thrilled to have Meerkat Press publish her debut fantasy novel, Wings Unseen, in August 2017. Markella’s earliest memories are of the sounds outside her window. At hours when no men moved, rustling branches and shuffling grass woke her. A beating pulse like slower, fleshier helicopter blades banished sleep: thlush-a-lum thlush-a-lum. In summers, the heat in her attic bedroom hot enough to incubate, Markella pushed the window open and dozed to the endless static drone of cicadas. In winters, choking radiator warmth wrapped tight around her, she cracked the window and the low, deep hoots of an owl drifted in with the freezing breeze. … read more in Issue 5.